When Callum’s friends find a ragged girl, Iona, trespassing on Callum’s farm, they chase her away – and Iona runs high into the hills. It is late and dark, and snow lies in the mountain gullies. Worried for Iona’s safety, Callum follows to find her. But Iona is guarding a secret. A rare and precious osprey is hidden in the high forest above the dark waters of the loch. 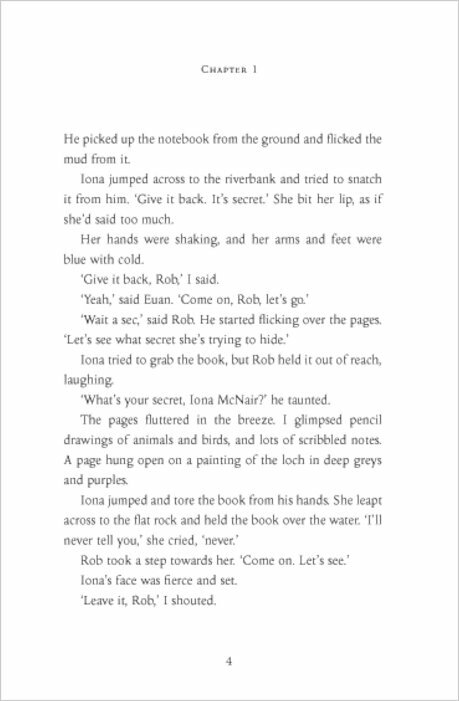 And when Iona and Callum make a pact to protect the bird, it is a promise that will change Callum’s world forever… Soar far above the clouds in this enthralling tale of friendship, loyalty and hope, as you follow the majestic sky hawk from Scottich lochs and glens all the way to the African jungles. Before she could walk, Gill Lewis was discovered force-feeding bread to a sick hedgehog under the rose bushes. Now her stories reflect her passion for wild animals in wild places. She draws inspiration from many of the people she has had the fortune to meet during her work as a vet, both at home and abroad. 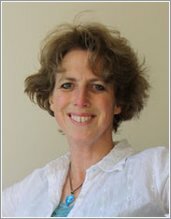 Gill Lewis has a masters degree in Writing for Young People from Bath Spa University and won the 2009 course prize for most promising writer. Her first novel was snapped up for publication within hours of being offered to publishers. She lives in Somerset with her young family and a motley crew of pets. She writes from a shed in the garden, in the company of spiders. I couldn’t put the down it was so amazing I loved every minute of it.Not suitable for younger readers-bad language! Sky Hawk is quite an emotional story. It shows how animals can communicate with humans! It was AMAZING! A friend recommended it and now I’d recommend it to others as well. It touched my heart there is only one thing you could call it: a Masterpiece. Yet again another great book by Gill Lewis. 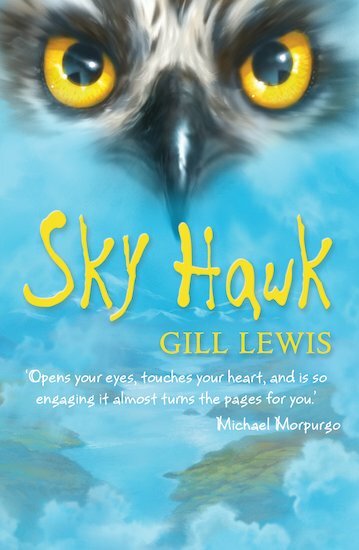 One of the best books I have read in a while!Sky Hawk was a great book because of if its gripping plot. 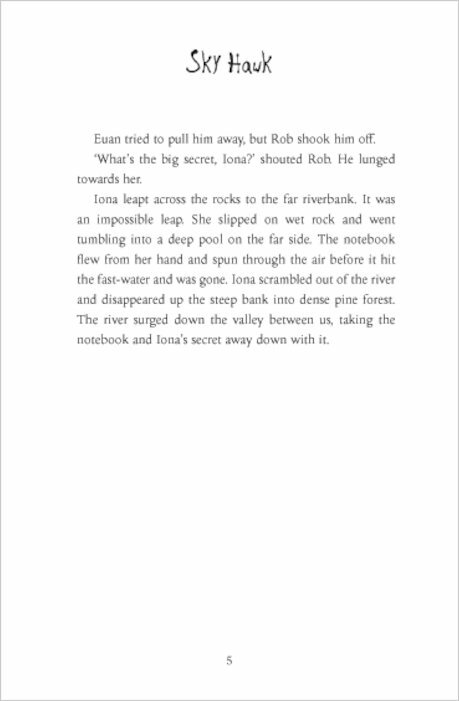 The main character Iona become ill (does she die? read the book to find out! 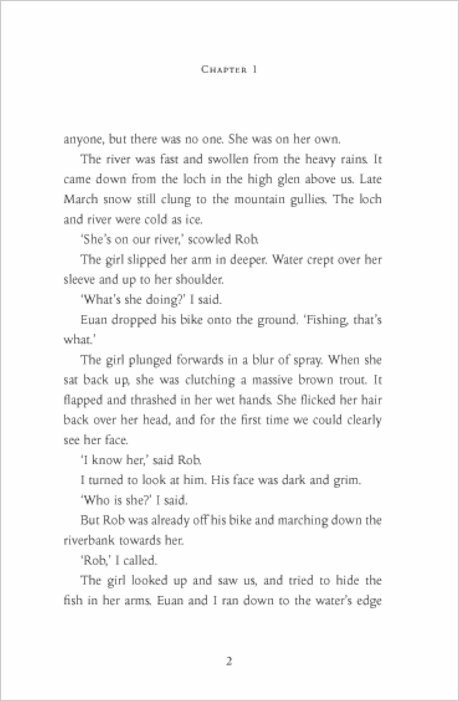 ), the osprey named Iris nesting in the eyrie on the island in the middle of loch goes back to Africa for the winter, but when a signal is not transmitting from her tag Callum fears the worst; she is lost or dead. Callum, Euan and Rob contact everyone they can in Gambia to go on a search, only one replies-an African girl called Jeneba. Despite Jeneba having two broken legs she was determined to go out with the search party to search for the osprey, due to this is she is one of my favourite characters. My other favourite character is Rob because of a kind deed he does. I absolutely love this book because of its format; the main part is from Scotland and then segments are in the format of an informative letter from Jeneba set in Africa. I rate this book 9/10, I would definitely recommend the book to all Michael Morpurgo or Lauren St John fans because it is a novel full of wildlife and miracles. Sky Hawk is a realistic story with convincing characters. It was well written and I could imagine it happening to me. Also there were vivid descriptions of the Scottish landscape and the osprey. 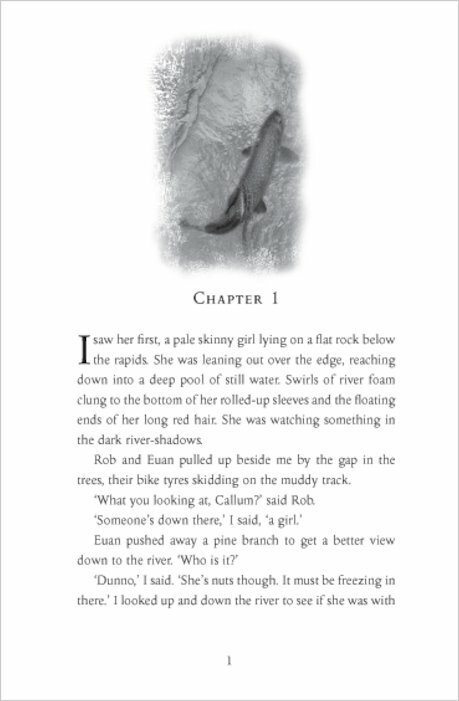 The book has themes of friendship, trust and respect for the environment. 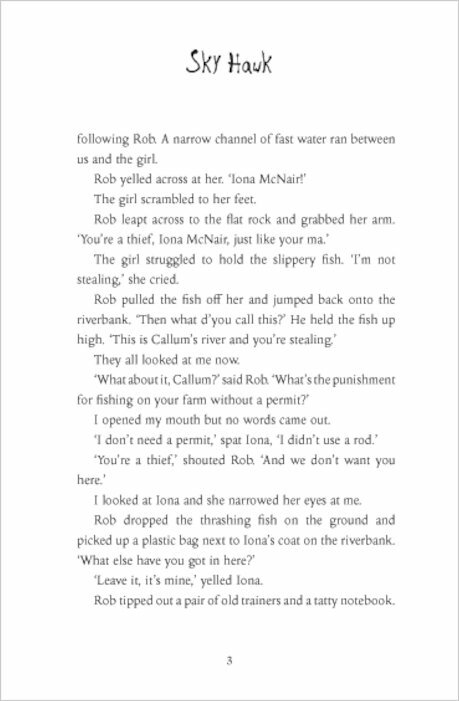 I liked the book because of the special bond between Iona and Callum. I think the story would appeal to girls and boys of 10+ with an interest in nature. I would recommend this book as a good read.